Since Mother’s Day is just around the corner. 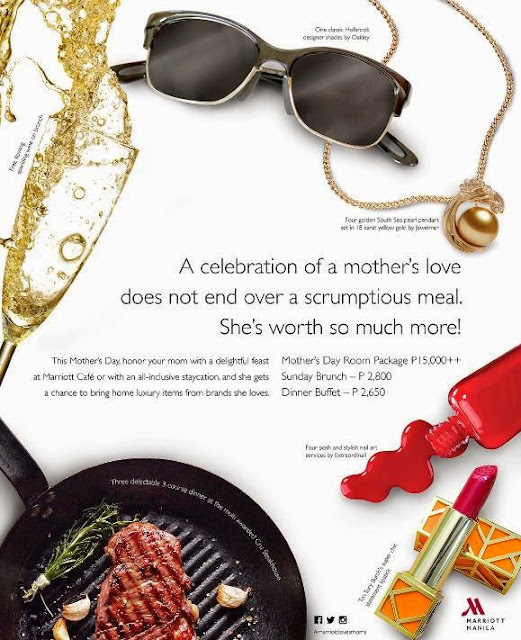 Marriott Manila puts together a wish list of luxurious gifts that will spoil your mom on her special day. Treat her to an unforgettable Sunday Brunch for P2,800complete with free flowing sparkling wine or a dinner buffet for P2,650 at Marriott Café on May 10. 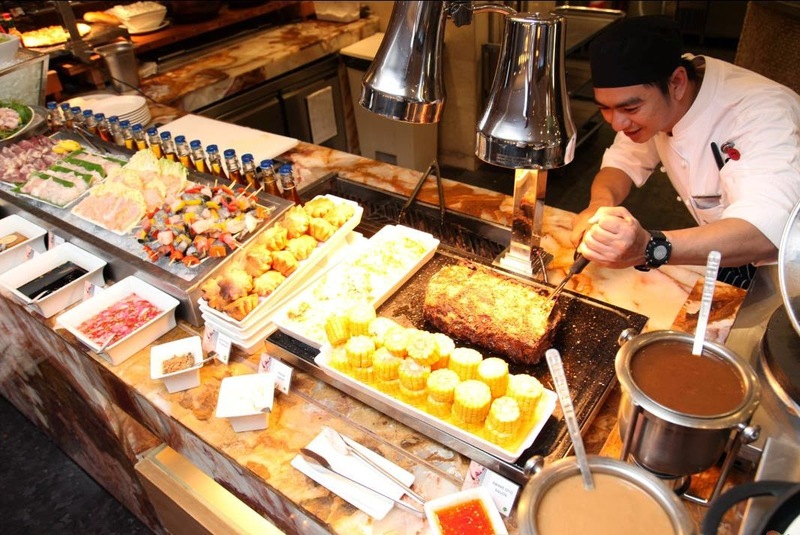 Show her you care with a fanciful buffet experience at Marriott Café. The entire family will enjoy a vast selection including popular dishes such as U.S rib eye, maple turkey, Bourbon baby back ribs, lamb salpicao, baked prawns with herbed goat cheese and pan seared seabass with vierge sauce. Other options include organic salad station, sushi rolled to order, seafood bar, cheese and charcuterie, interactive teppanyaki station and the always popular chocolate room and dessert bar! The homemade gelato, decadent desserts and chocolate goodies are the perfect ending to a celebratory brunch. Kids approved selections are also spread throughout the buffet such as pizza, pasta and truffle mac & cheese. Adding more fun, little ones will surely be delighted in making mocktails for their mommies. This special day is priceless. That is why each family will be given a souvenir photo to take home memories. After everything that mom has done for you, now is the time to let her know how much you appreciateeverything she does. Reward her at Marriott Manila. For inquiries and reservations on Mother’s day offerings, call (02)9889999 or visit manilamarriott.com. To join ongoing conversations, like Facebook.com/MarriottHotelManila, follow @marriottmanila on Twitter and @manilamarriott on Instagram.